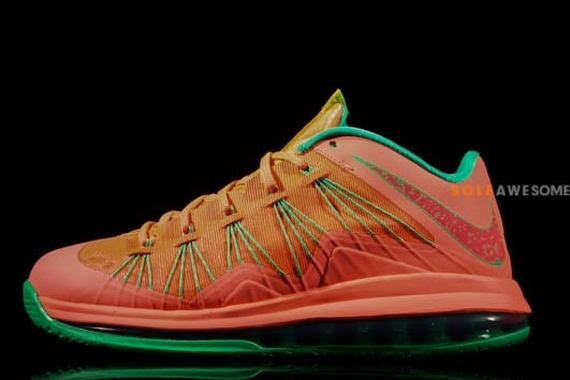 One of the most anticipated LeBron low cut styles we've seen over the past couple of years is previewed in full detail today. 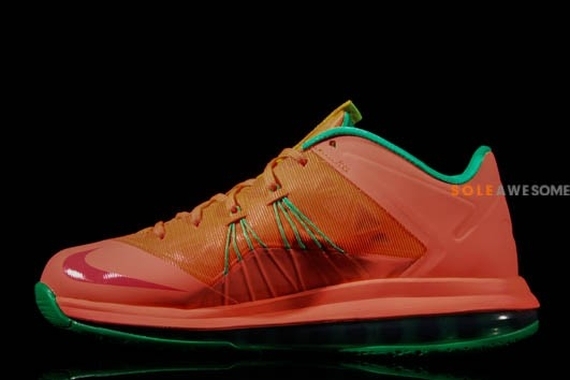 This summer ready LeBron X Low has already been hit with a "Watermelon" nickname, thanks to their vibrant upper in light orange. 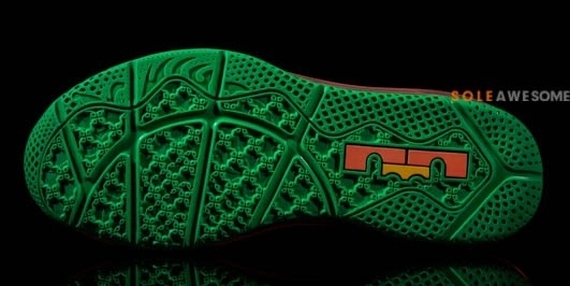 The watermelon vibe is completed with hits of light green handling the collar lining, Swoosh outline, Dynamic Flywire, 360 Max Air unit and outsole below. 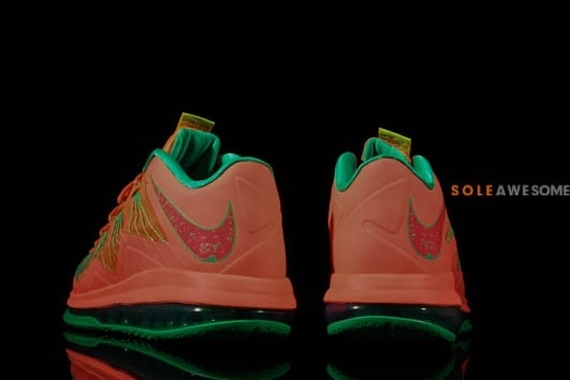 Stay tuned to Sole Collector for further details on the "Watermelon" Nike Air Max LeBron X Low.